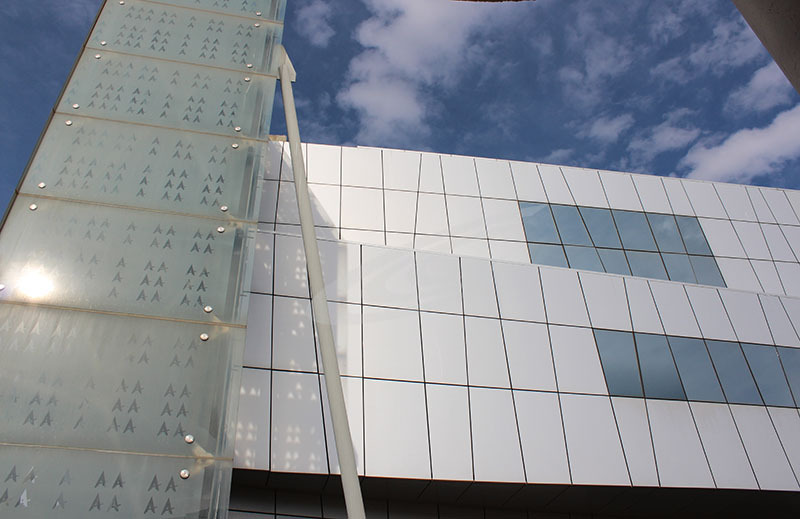 " glasscon GACP - ALUMINUM COMPOSITE PANEL " is a technologically advanced product whose unique features facilitate creative architectural design. Curved and flat surfaces in vivid colours add an elegant sense in buildings and constructions of all kinds. Attractive and flexible, " glasscon GACP - ALUMINUM COMPOSITE PANEL " is the appropriate cladding solution for interior and exterior surfaces in new constructions and renovations. The material is rigid, light, and durable and has good insulating properties, resulting in energy-efficient buildings. Furthermore, it is easily installed and formed into a variety of shapes. is a first-class sandwich-type composite panel consisting of a non-toxic polyethylene core firmly bonded between fine aluminium facing and backside sheets. " glasscon GACP - ALUMINUM COMPOSITE PANEL " sheets are produced in different core thicknesses 2, 3 and 5mm with aluminium sheets of 0.5, standard sheet widths of 1000, 1250 and 1500 mm and lengths 2000 up to 7000 mm. The total thickness of " glasscon GACP - ALUMINUM COMPOSITE PANEL " is thus 3, 4 and 6mm. Bonding of the aluminium sheets with the core is accomplished by highly compressing the three parts (two aluminium sheets and adhesive along with the polyethylene) within the rolls, resulting in a strong and exceptionally rigid flat sheet of composite panel. " glasscon GACP - ALUMINUM COMPOSITE PANEL " is ideal for using in severe environmental conditions such as in polluted urban and industrial areas, as the panels are practically maintenance-free; while their cleaning is easy. The design of a particular building easily characterises a whole area, even a town or a city. The innovative building designs of nowadays make " glasscon GACP - ALUMINUM COMPOSITE PANEL " the ideal visionary inspiration for architects. It is important to preserve the beauty of the natural environment. Any construction in an open space requires special consideration. Highway toll posts and petrol stations, industrial buildings and tunnels all need to blend with the natural environment. Once again, " glasscon GACP - ALUMINUM COMPOSITE PANEL " provides ideal solutions. Curved and flat surfaces in striking colours create a new elegant look in buildings and constructions of all kinds. 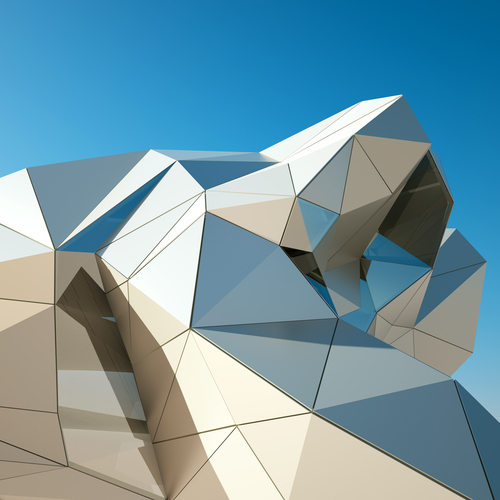 Attractive and flexible, " glasscon GACP - ALUMINUM COMPOSITE PANEL " is the ideal cladding material for interior and exterior surfaces either of new constructions or of renovations.